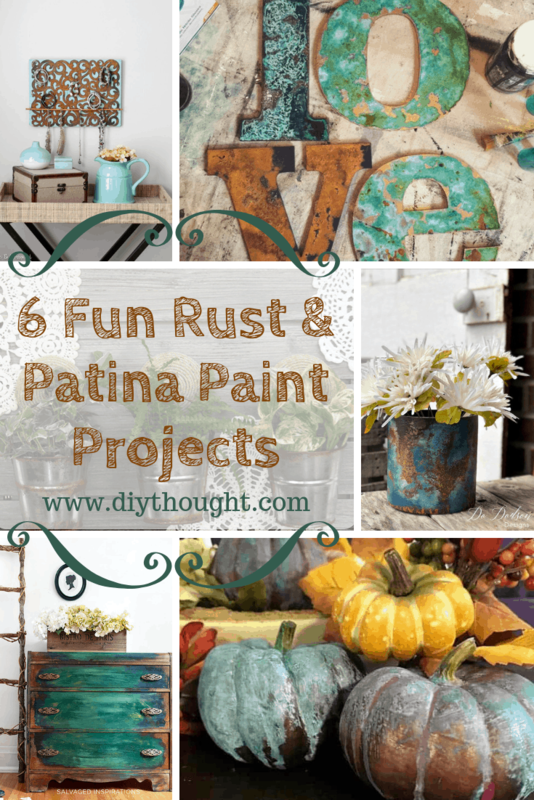 6 fun rust & patina paint projects that are perfect for working with these amazing paints. It is simple and possible to create a rust look on any paintable surface using specialty paint. Patina is the tarnish thin layer that forms on the surface of stone; copper, bronze and similar metals, again it is so simple to achieve this look using specialty paints! 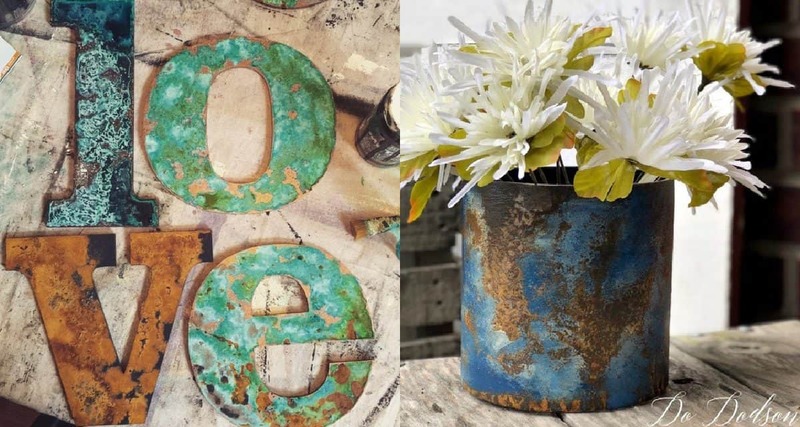 Rust paints and patina paints give a unique aged and rust look to your home decor. Not only does it look awesome but it can be extremely fun and satisfying watching the rusting and aging process happen! 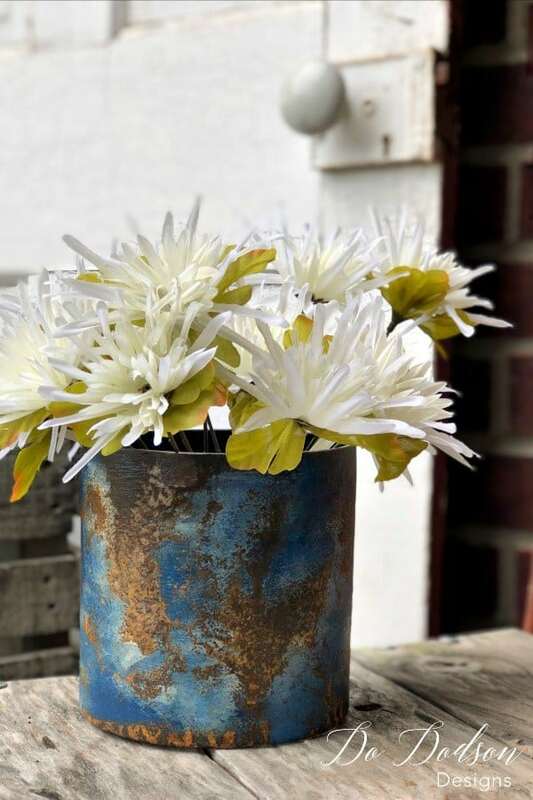 Transform an old glass vase into a stylish rust painted one. This is a great way to add the rust paint look without painting walls or furniture. Click here to get the full tutorial. The transformation of this old waterfall dresser is simply amazing! 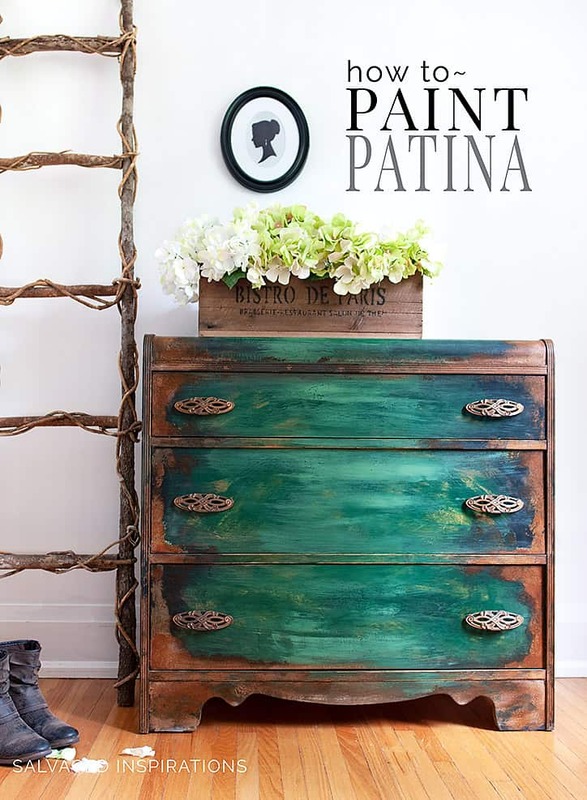 The patina paint was added around the edges of the dresser to give it the stunning rust look. Read more about this transformation here. 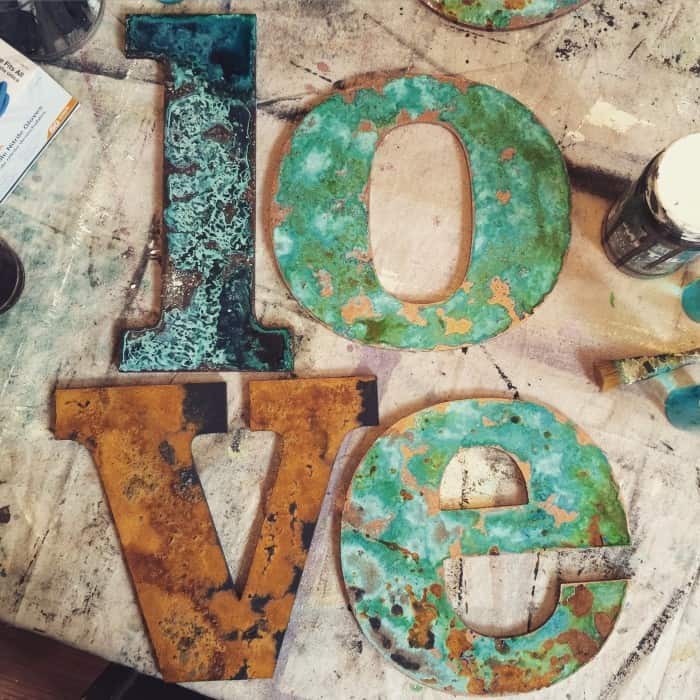 Patina and rust letters are a great way to introduce a splash of the rust look without doing a big project. They also are an ideal size for experimenting with painting techniques. Head over to Mrs Jones Painted Finishes to read more. This rusty jewelry holder doubles as a piece of artwork. 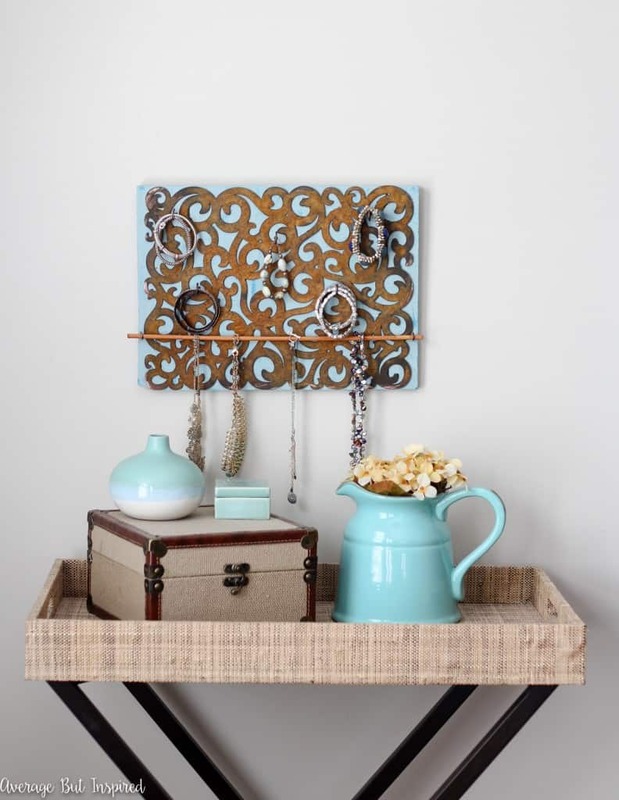 We love the fresh blue color and how it complements the rust design. Click here to read the full tutorial. This barnwood hanging planter is so very lovely and that rust looks so real! 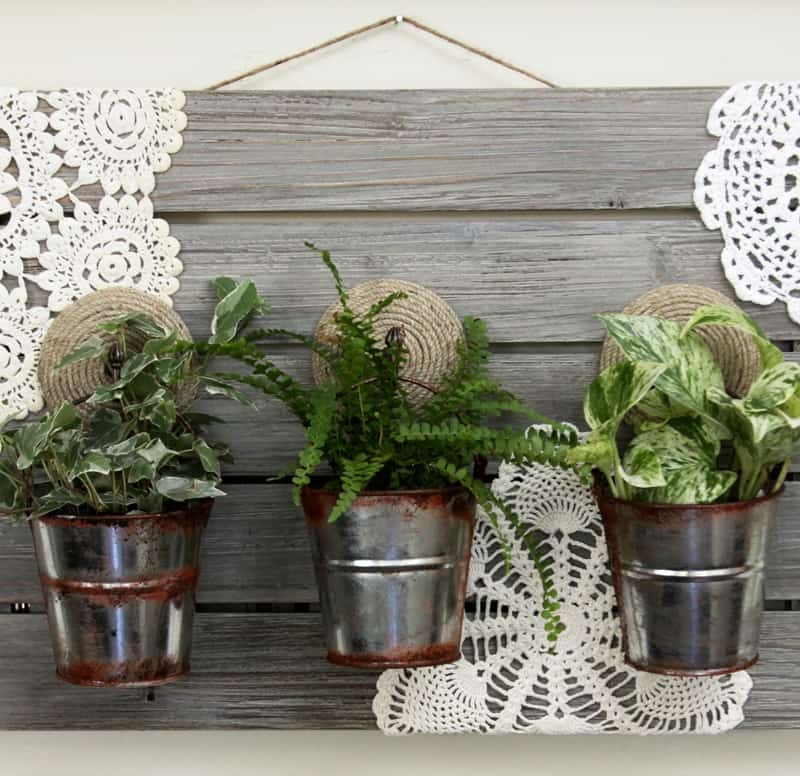 This is one fun and easy project which would look lovely in any home. Follow this link to find out more. 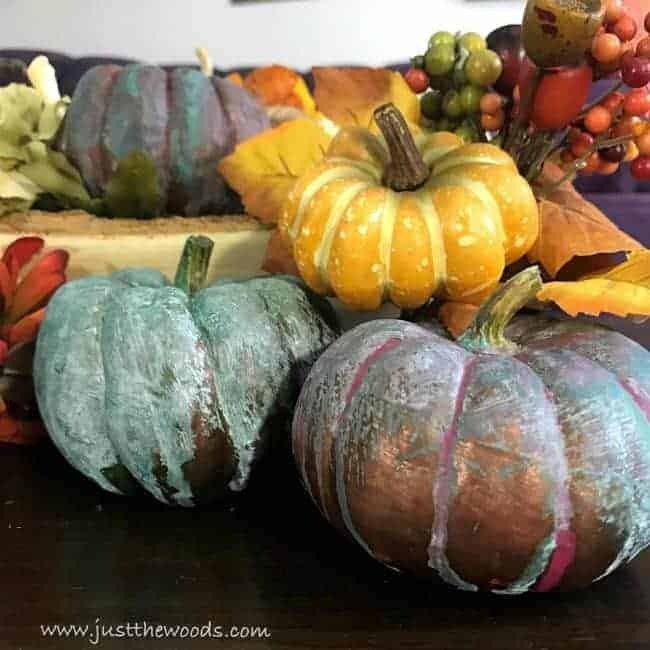 Create a stylish fall decor by painting pumpkins with patina paints. Make your pumpkins look weathered and aged for the perfect Halloween front porch greeting. Head over to Just The Woods to read the detailed tutorial.